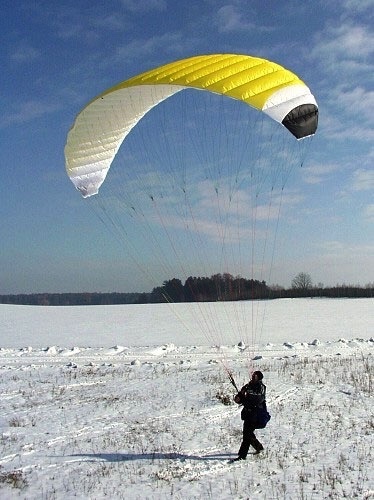 Dudek Marlin – training wing - 12m You are learning to fly. You are a part of an organised group, but it still takes up a lot of your time because there is much waiting for proper weather conditions. 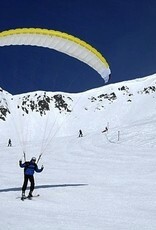 With too much wind you can't control your paraglider, pulling you up and around. 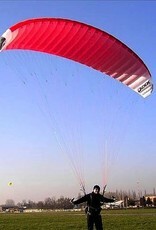 The instructor has to call a break since it's no good neither for you nor the canopy. If only the winds were lighter... but there is nothing you can do about that. Or is it? 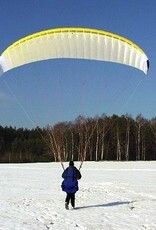 What if you could find a much smaller wing, behaving much as a standard one, yet safe to launch in these conditions? And not causing such a stress when draggled through pools and mud nearby? We have such a wing for you and your instructor. It's called MARLIN - a dedicated training wing Marlin is a small training wing dedicated exclusively for ground handling exercises. You can't fly this wing, much less doing any aerobatics. Due to its small area Marlin stays remarkably calm in thermal gusts, so you don't need any special assistance while training launches in strong conditions. 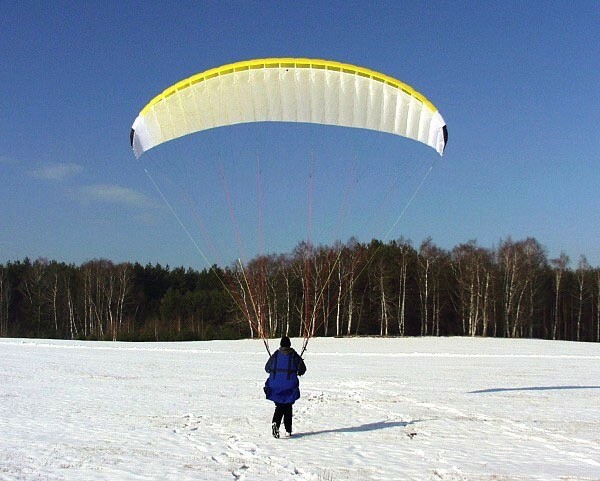 You can safely go exercising even at a 12 m/s wind, so the effectivity of training the launches is increased up to 30%, depending on local weather conditions. The Marlin behaves much as a standard free-flying paraglider. The aerofoil used gives the wing a slight reflex behaviour, so it has no tendency to overshoot while launching in strong winds. 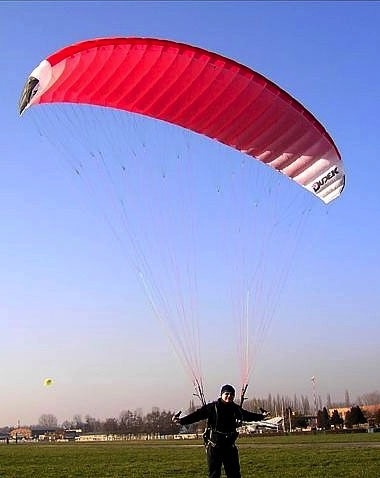 The risers and rigging is identical to "real" paragliders in order to grow correct habits. 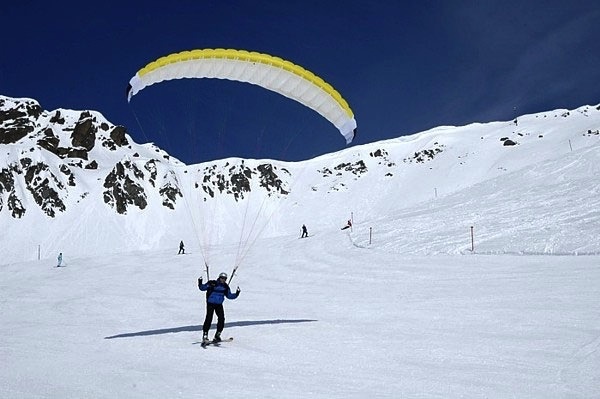 Still the Marlin requires from the students proper concentration and right inputs, so the trainees will almost instantly be able to cope with bigger paragliders.